Angela Carter (1940–1992) wrote nine novels and numerous short stories, as well as nonfiction, radio plays, and the screenplay for Neil Jordan's 1984 movie The Company of Wolves, based on her story of the same name. She won numerous literary awards, traveled and taught widely in the United States, and lived in London. Angela Carter was a storytelling sorceress, the literary godmother of Neil Gaiman, David Mitchell, Audrey Niffenegger, J. K. Rowling, Kelly Link, and other contemporary masters of supernatural fiction. 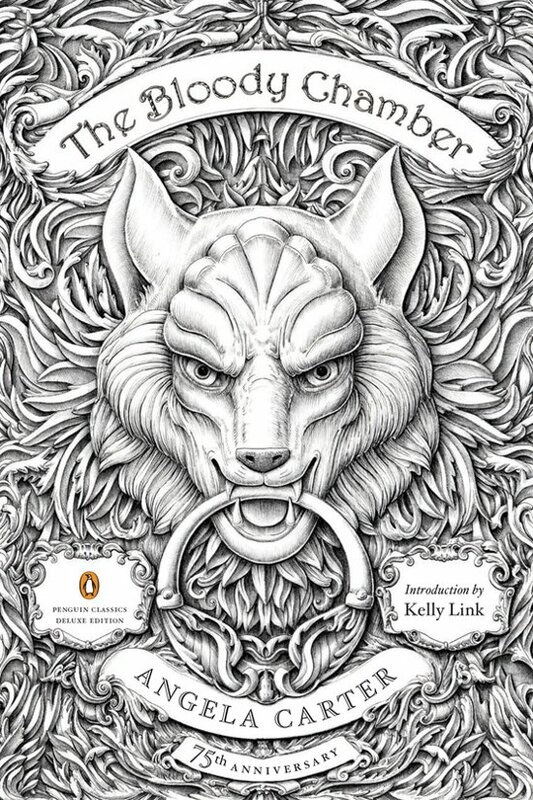 In her masterpiece,The Bloody Chamber—which includes the story that is the basis of Neil Jordan’s 1984 movieThe Company of Wolves—she spins subversively dark and sensual versions of familiar fairy tales and legends like “Little Red Riding Hood,” “Bluebeard,” “Puss in Boots,” and “Beauty and the Beast,” giving them exhilarating new life in a style steeped in the romantic trappings of the gothic tradition.